Whether you run a small business or a large international corporation, when your clients fail to pay you for the products or services you provided to them, it can kill your profits and cash flow. The old saying, ‘’time is money’’ undoubtedly applies to commercial debt collection, particularly in today’s shifty economy. According to experts, businesses lose hundreds of millions of dollars from unpaid invoices every year. As such, a business can significantly benefit from engaging a commercial debt collection agency like Melton Norcross & Associates, LLC to handle their overdue accounts. Hiring a commercial collection agency is the most popular method of dealing with business clients that are over 90-days past due paying your invoice. A commercial debt collection agency eliminates the trouble associated with debt collection and increases the probability that you’ll receive payment for your past due receivables. Professional debt collectors are specialists at getting business defaulters to pay the money that is owed to you. They are highly trained with debt collection tactics, and there’s a good chance your debtors will take them seriously and pay. Using a small claims court is another way in which businesses can collect their past due receivables. Here, you will have to go to your local small claims court to fill out the required paperwork. The defendant will be informed and a hearing date established. Bear in mind that the liability of proof is on you — not the defendant. Therefore, you’ll need to appear at the court with documents proving that the debt owed to you is authentic. Defaulters may not respond to your collection pleas, but put a professional debt collector on the job and debts often get paid. This is because professional debt collectors are armed with techniques for recovering unpaid debts. It is for this reason that they greatly increase your chances of getting paid the money that is owed to you. As a business owner, your key focus is managing your business, but a collection agency’s key focus is to recover your unpaid commercial debts. Professional debt collectors are aware of the best methods to lawfully compel debtors to pay, and thus pose a much greater threat to non-payers than you do. Essentially, with a commercial collection agency, you have much higher chances of recovering your money. On the other hand, if you go to small claims court, there is no guarantee that you will win the case or that the defendant will pay their debt to you even if you do win (https://www.entrepreneur.com/article/171218). There are numerous laws governing the debt collection industry. Informed businesses won’t shy away from suing their debtors when their rights are violated. Professional commercial debt collectors understand this fact, and that’s why they are fully versed in the law. They are aware of the laws that govern federal collection and particularly those that apply in every state. Hiring them to collect your past due receivables eliminates the numerous risks involved with having to collect the debt on your own through small claims court. This is because if the debtor fails to appear in court, you will still have to locate and attach the debtor’s assets to validate the judgment. This has proven to be a long and frustrating experience (http://www.forbes.com/sites/insidearm/2011/07/12/need-to-hire-a-debt-collector-heres-some-practical-help/#51faa7506de8). The procedure for debt collection can be very tiresome and time-consuming, especially for business owners who are busy with the day-to-day operations of their businesses. Getting delinquent debtors to pay the money they own you involves making numerous phone calls and sending several letters. When you hire a commercial collection agency, all this hassle and stress is transferred to a professional at the collection agency. You won’t have to use your valuable time trying to get your client on the phone nor will you have to deal with the stress of telling them they owe you money and that they need to pay you now. Unfortunately, we cannot say the same for small claims court where you’ll have to devote more time in court on the hearing day. You’ll also need to spend time filing a claim and compiling evidence to be presented to the court. Maintaining a clear mind and focusing on your core activities is a significant benefit of delegating collection duties to debt collection experts (http://www.huffingtonpost.com/steve-cook/get-whats-coming-to-you-d_b_7306752.html). With a collection agency, you normally do not have to pay unless they’re successful at collection your past due receivables. Essentially, there is no risk involved for you. With small claims court, your court fees will not be refunded to you if you lose the case. And as mentioned previously, there is no assurance that you will win the case and receive what is owed to you. Whatever you choose to do, keep in mind that statistics show that the longer you allow a receivable to remain unpaid, the less likely it will be paid. 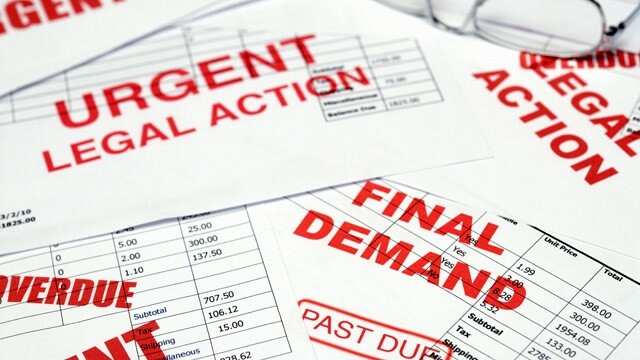 Therefore, if you have an invoice that remains unpaid for over 90 days, it’s time to hire a professional commercial debt collection agency like Melton Norcross & Associates, LLC., so they can collect the money your business client owes you.